Typical shelving is generic and one-size-fits-all. 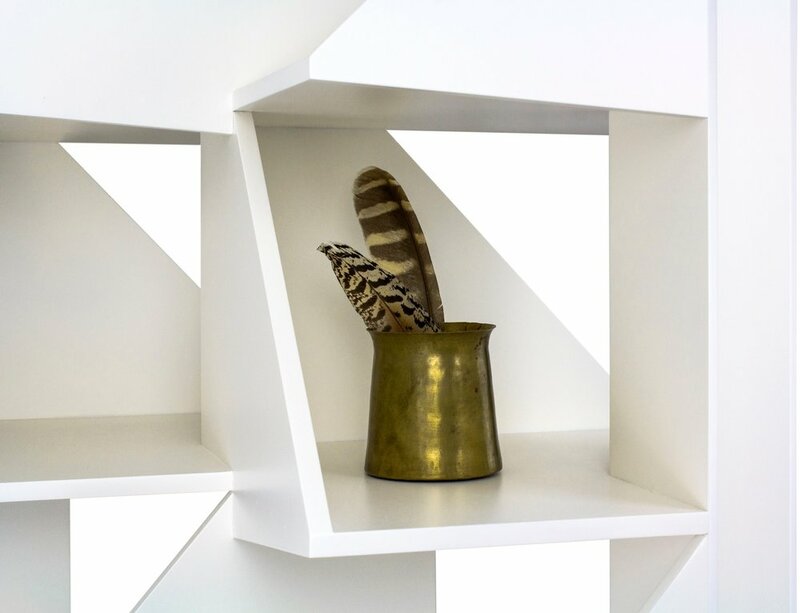 Edifice Shelving is tailored and specific. 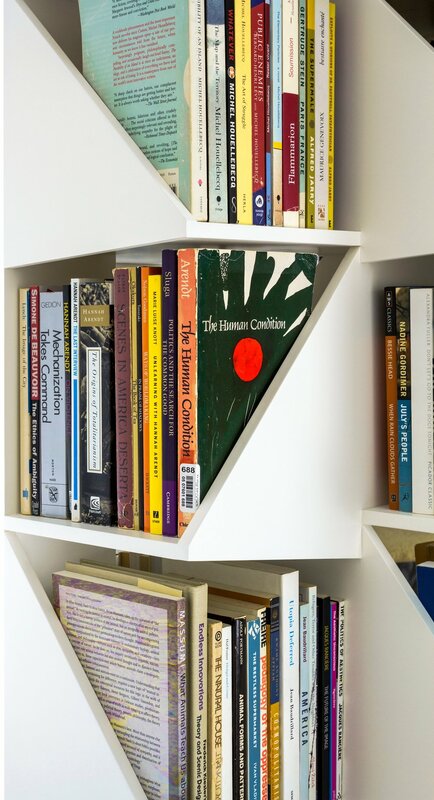 Its angled, saw-tooth shelves accommodate books of varying width, and its graduated vertical spacing books of varying height. Like library stacks, the shelving is freestanding and porous, and doubles as a room-divider. The design is modular. 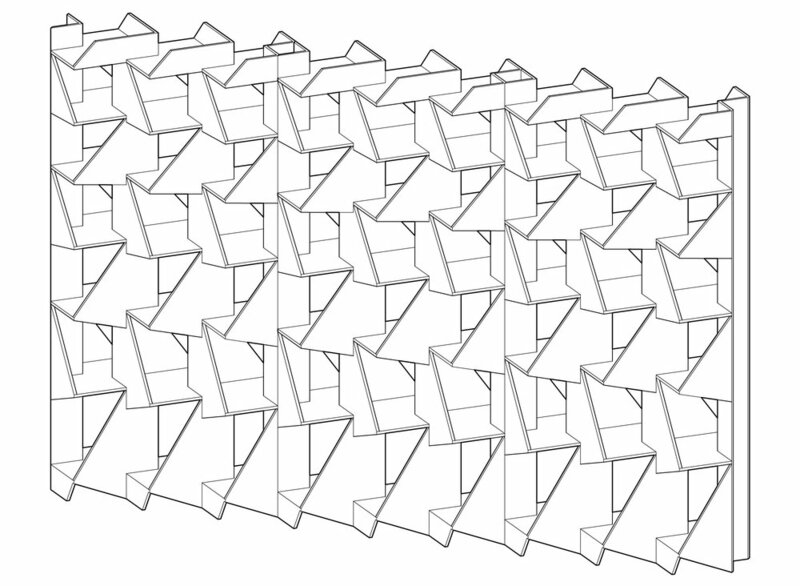 Multiple units tile together into larger assemblies. The prototype shown here is fabricated from ½” Ultralight MDF, CNC-milled with mortise and tenon joints and finished with satin lacquer in an off-white similar to book paper. This piece will be exhibited at WantedDesign Manhattan, May 18-21, 2019.